Congratulations to our Students of the Month, Ty Williams and Sean Dempsey. Both are seniors at Bullard High School. Ty played Varsity basketball and plans to rodeo for Hill College and attend the fire academy. 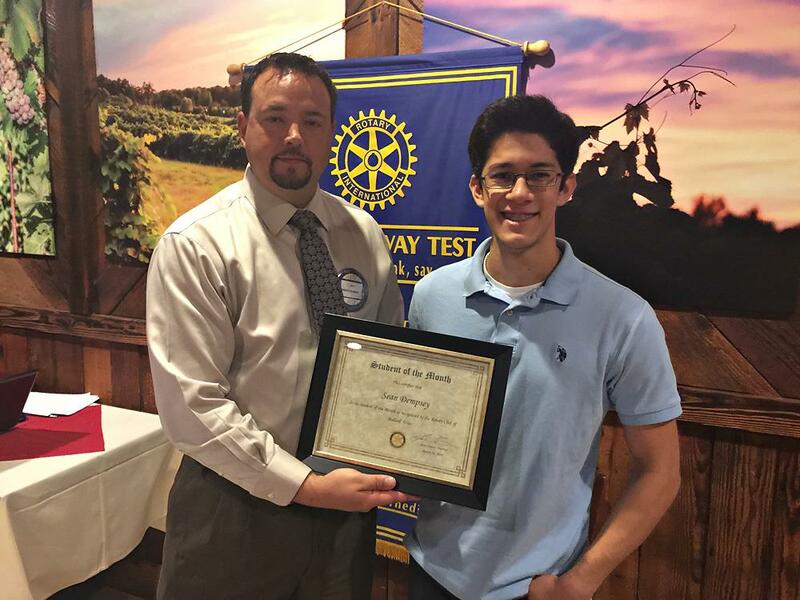 Sean participated in Jazz band and a number of other organizations, such as FFA, Key Club, student council and the Math Club. Congratulations gentlemen, and much success to you in your future endeavors. 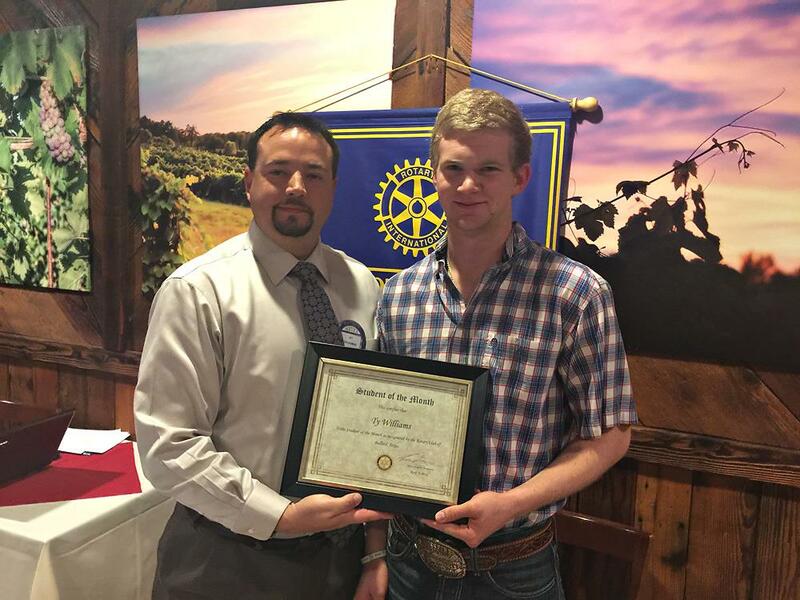 Pictured with Bullard Rotary President Elect are Ty Williams and below, Sean Dempsey.